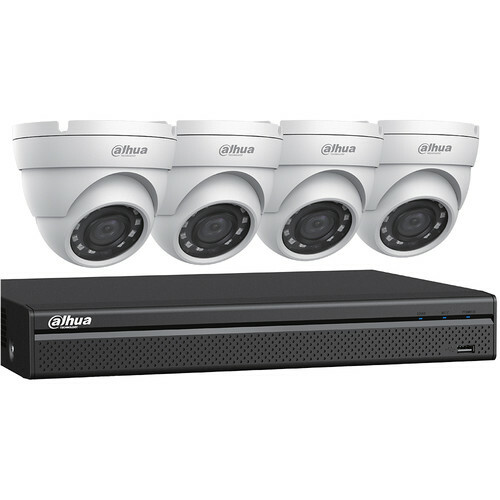 Monitor your home or business with the 4-Channel 2MP HD-CVI DVR with 2TB HDD and 4 2MP Night Vision Dome Cameras from Dahua Technology. 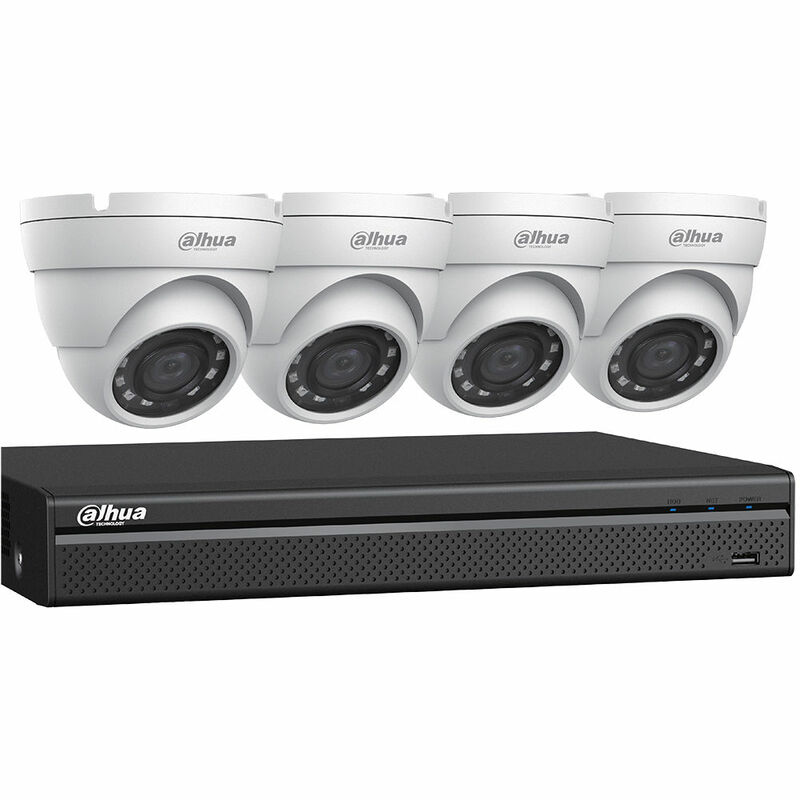 The DVR enables you to record from and manage the four included HD-CVI cameras. Additionally, it has IP video inputs for up two IP cameras up to 6MP (available separately). The recorder comes with 2TB of preinstalled HDD storage that can be expanded up to 10TB if more is required. The DVR uses H.265+, H.265, H.264+, and H.264 compression to keep file sizes manageable while maintaining recording and playback quality. Its interface includes RCA ports for two-way audio communication, as well as HDMI and VGA connections for video output with support for dual streaming to maximize bandwidth efficiency. Each of the four included 2MP dome cameras captures 1920 x 1080 resolution video at 30 fps from a 2.8mm fixed lens with a 103° field of view. Built-in IR LEDs provide a night vision range of up to 98'. Designed for outdoor use, the cameras are housed in IP67-rated weather-resistant enclosures.